Hurry Up Hurray Up !!!!... 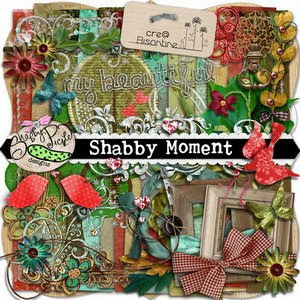 Shabby Pickle Designs is having a $1 sale on kits and other digital scrapbooking stuff ONLY TODAY and I know you don't want to miss that. There are many nice kits that you can choose from but I only bought this SHABBY MOMENT kit. If only popcorn machines cost like that bec. for sure I will buy one in an instant. Anyway, how I wish I can scrap soon bec. I have been hoarding lots of freebies lately but I know my mojo will come back soon.